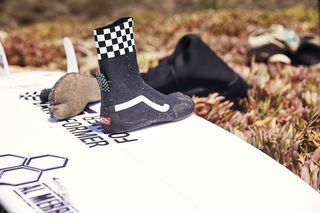 Key Features: The Surf Boot Mid is constructed out of perforated neoprene with ports in the sidewall allowing optimal water flow and helping regulate temperature. 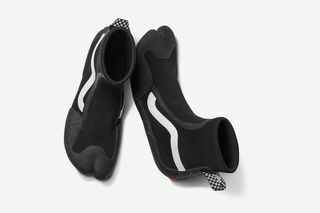 Rubber overlays at the heel, toes, and sole provide structure and grip that extends over the sides. 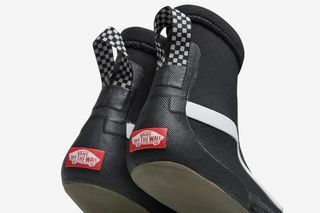 The Surf Boot Hi features a bootie upper that has been rubber-dipped for consistent warmth and resilient seams. 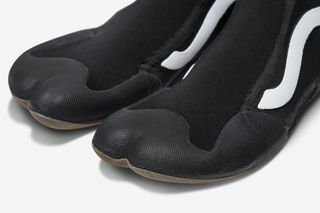 The same rubber detailing is again found on the toe, heel, and sole. 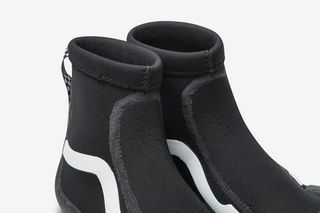 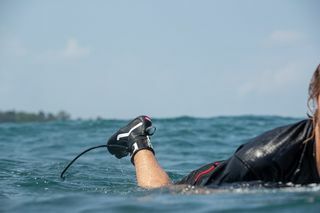 The high neoprene ankle height keeps out water. 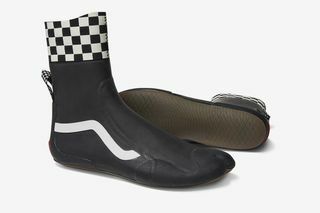 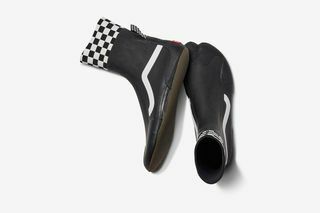 Editor’s Notes: Vans has unveiled its first-ever skate-inspired Surf Boot, which takes the brand’s iconic checkerboard pattern and repurposes it for the water rather than the skate park. 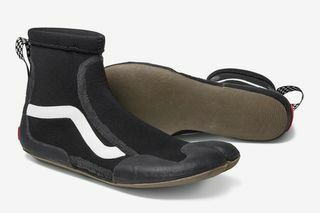 Vans’ new surf booties, which provide better grip and board feel, come in two variations: mid- and high-top. 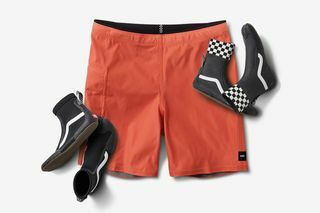 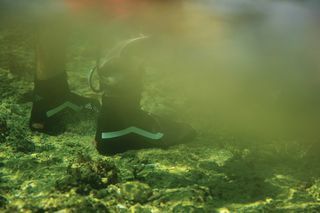 The mid-top is for warm water conditions, while the high-top is for cold water and features a rubber-dipped upper to keep water out and your feet warm. 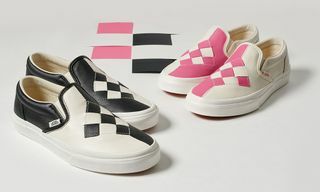 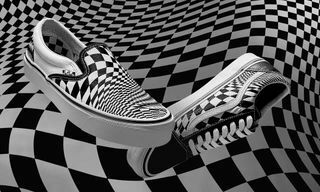 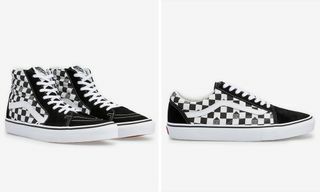 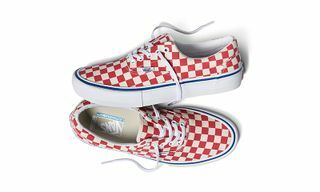 Both styles feature Vans’ iconic Sidestripe and checkerboard detailing. 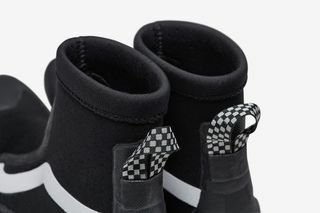 And the skateboarding inspiration doesn’t stop at the design details. 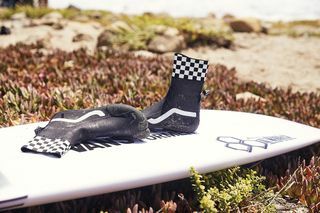 Vans has taken its original waffle grip and board feel and reimagined those features for surfing. 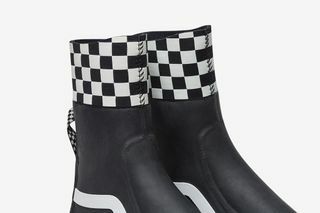 Check out both boots in detail above. 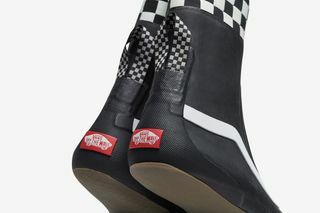 Both drop tomorrow, April 13.